Within our hour long sessions, we offer ideas for home play, creative ideas, bonding activities, visual stimulation, brain games all with music and dance and so much more! We offer everything a toddler could want plus social interaction for parents and carers too, with our regular weekly classes. Classes have half an hour of exploratory play with half an hour of group leader led activities too. Age groups are 13 months to 5 years with some classes being aimed at younger children, some at older and others being an all age, mixed class so please enquire to find out which is the best class for your little one. Our term's are generally 10 week blocks. You can join at any point providing there is a place for you with booking being essential to avoid disappointment. We do offer a wait list if you have a set day and time in mind that you can join to ensure you are next in line to be offered a space on your desired class. We are at Birstall Social club on Mondays at 10am/ 11.15am and 1pm, Tuesday's in Newtown Linford at 10am and 11.15am, Wednesdays at Houghton on the Hill Village Hall at 10.15am, Friday's at the Linford in Newtown Linford at 10am, 11.15am and 12.45pm plus Sunday's at East Goscote Village Hall at 9.30am. 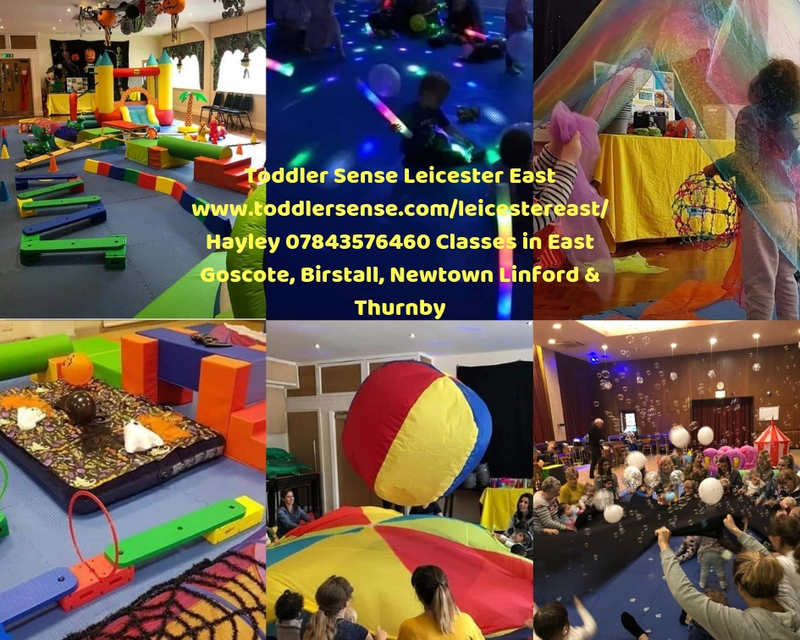 For more information go to www.toddlersense.com/leicestereast or visit our facebook instagram pages.